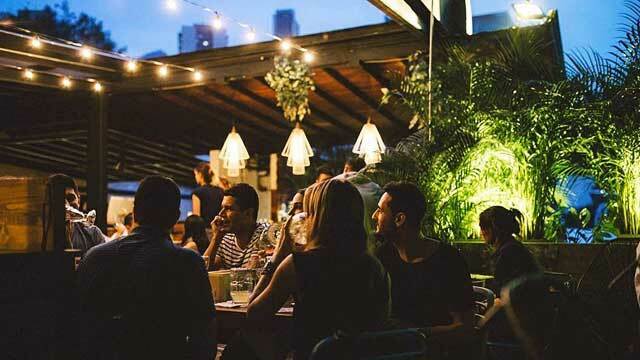 A complete guide to the 6 best rooftop bars in Medellín in 2019. Called the "City of the Eternal Spring", thanks to its pleasant springlike climate all year, Medellín is a great city for open-air pleasures. Located approx 1 500 meters above sea level, you are quite high as it is. 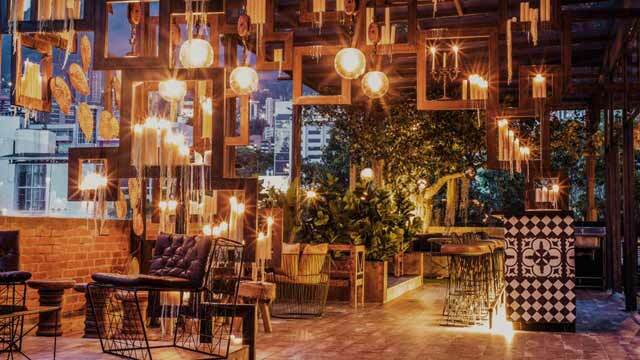 But why not get even a little bit higher and mix the great al-fresco climate with a visit to one of the best Medellín rooftop bars. You might wonder: which are the best rooftops in Medellín? 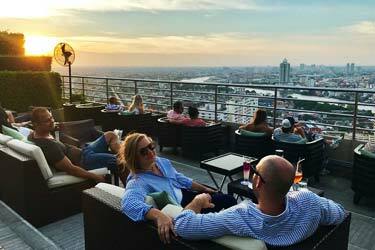 To find them, all you need is this, the ultimate guide to the best roof terraces in the second largest city of Colombia. Here you'll find all info you need about each rooftop. Opening hours, dress code, pictures, maps and much more. 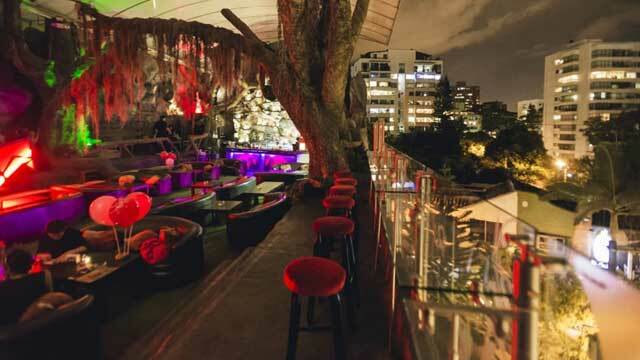 Just scroll down and find the Medellín rooftop bar best suited for you. Or use the Medellín rooftop map in the bottom right corner. A hostel promoting themselfs as 'More than just a place to sleep', and we can really understand why. This fantastic hostel in Medellín has not one, but two of the best rooftop bars in the city where you can both drink cocktails, work out and watch the sun set over the mountains. Here you find both Ziruma Tiki Bar and El Bar, a bit different in décor but otherwise similar in offering a comfy setting, friendly service, an unpretentious and vibrant atmosphere along with fantastic views over Medellín. Probably the most unique rooftop bar in Medellín, especially when it comes to decoration. Here you walk into is some sort of artificial cave / djungle. A bit strange, but most of all unique and really cool. Giant trees in concrete and other tropical elements are combined with beautiful views over Medellín. Equipped with lots of comfy longe sofas, a great ambience and nice music, Woka Lounge offers tasty and creative tiki cocktails along with an international food menu. 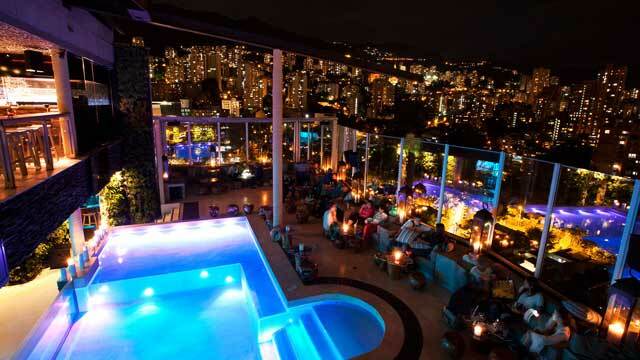 Trendy and luxurious rooftop bar and lounge, and the very best of its kind in Medellín. Located on top of the Charlee Hotel, it's expensive compared to other bars in Medellín, but the spectacular city view, central location and stylish vibe makes it a top spot nonetheless. A typical Asian or American style rooftop bar with a vibrant, towards upscale atmosphere and luxurious décor, complete with a aquarium-style swimming pool in the middle. Enjoy tasty tapas and with bubbles or crafted cocktails. Panorama Rooftop Bar can be found at two locations in Medellín, one in the cosy Laureles area and one in the more touristic Provenza in El Poblado. Very similar in setting, vibe and menu, they can be seen as one rooftop. 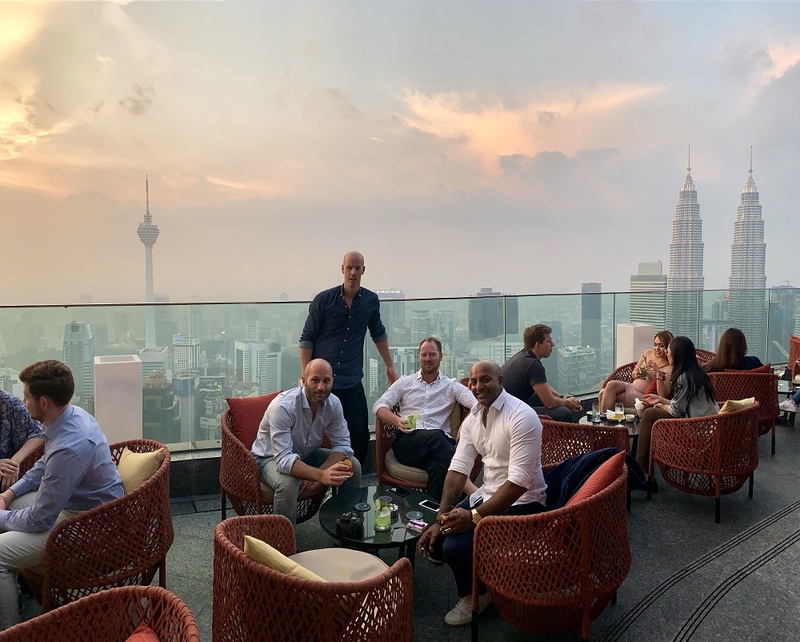 While none of the locations live up to the 'panorama' part of the name, instead of views they offer a lush and green oasis in the concrete djungle, with a modern concept and great vibes. 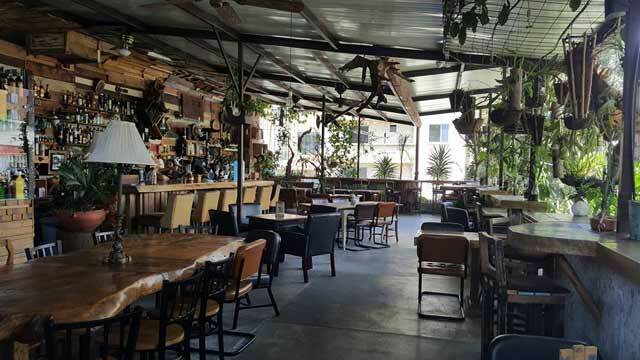 Expect tasty drinks, a fun and laid-back atmosphere, great music and a friendly crowd. Located on the top of Art Hotel Boutique in the heart of Medellín. 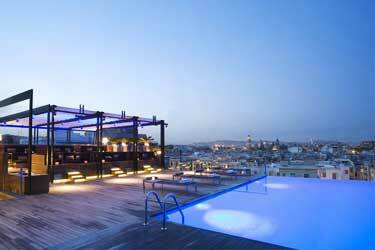 Very elegant, minimalistic and modern, the rooftop restaurant and lounge bar lives up to the 'Art' in the hotel name. The best piece on display? 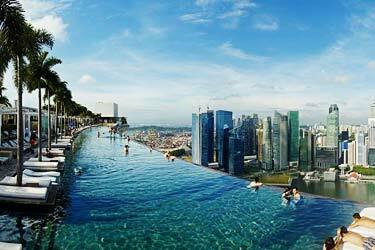 The spectacular 360° view of the city. The gastropub menu mainly consist of International cuisine towards fine-dining, but you can also have a seat in the modern and chic rooftop bar for a cocktail. Calm and sophisticated in ambience, this is a spot for a date-night. Perched on top of an art gallery in the heart of the city, Alambique is a bit hard to find but well worth the search! With a relaxed vibe and amazing food, the terrace is a lush and charming oasis, feeling more like a cozy and vintage 'living room' than a classic and trendy rooftop bar. 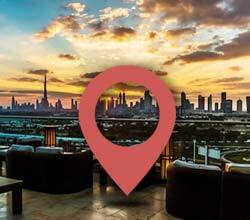 No grand city view, but instead the rooftop offers great cocktails and a creative and tasty selection of Latin American dishes in a friendly and vibrant atmosphere. Discover the biggest collection of Medellin activities, guided tours and skip-the-line tickets. Anything you want you'll find right here. The climate in Medellín is pretty warm and even all year round, resulting in the rooftop terraces staying open all year round. Most of the rooftop bars are located in the upscale neighborhood of El Poblado, the main center of the industrial and commercial life in Medellín and also the place where a majority of the hotels and rental apartments are located. 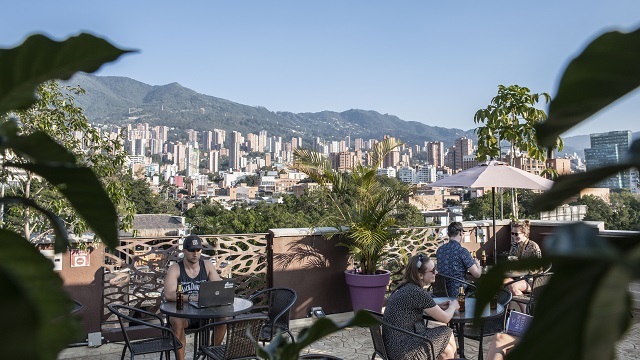 A typical Medellín rooftop bar is maybe not as high and posh as a lot of others around the world, but instead come with a more laid-back and lovely atmosphere, and very decent prices. Medellín is Colombia's second largest city, and the capital of the department of Antioquia. 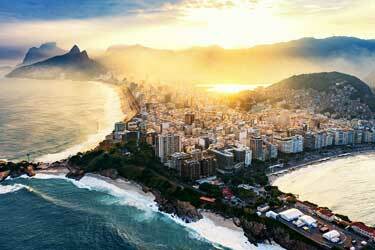 The city has a pretty high altitude, with a location at about 1500 meters above sea level. 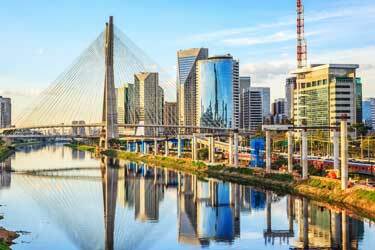 The city has made quite a transformation over the last decades. 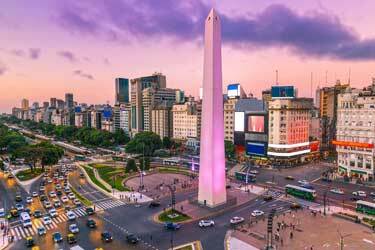 Being namned “the most dangerous city on earth” in the early '90s, it is now instead being namned “the most innovative city in the world” and blooming in all ways. 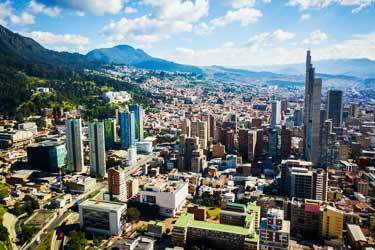 Set in a long valley between two Andean mountain ridges, Medellín has a beautiful location. And getting around the steep city has become much easier thanks to development of public transportation, and especially thanks to the cable cars taking people up to the barrios that climb the mountain sides above the city centre.